What's the "Best" Way to Charge for Bandwidth? Comcast recently reiterated that it has no current interest in usage-based billing for consumer broadband access. Time Warner Cable has tended to support the notion. Telco executives tend to favor usage-based billing, as that is the industry legacy and mainstay. But there are differences. Tier one service providers tend to be much more strongly favor in favor of charging customers for data on a usage basis than tier two and tier three service providers. In large part, such discussion of retail packaging is happening because volume growth for broadband access services, especially on mobile networks, threatens to outstrip supply. That's one compelling reason why mobile service providers might like to manage peak-hour traffic more gracefully, possibly by using charging mechanisms to create incentives for off-peak consumption. In principle, one might argue that capacity upgrades “solve” the problem. That might be true, but only to the extent that capital investment is offset by revenue gains. If not, service providers ultimately will fail. And consumers have proven highly resistant to price hikes. Mobile service providers almost universally are moving to data usage caps, as one immediate step. If data caps do not work to manage mobile network peak hour traffic loads, what does? The answers will vary from country to country, and are different on mobile and fixed networks. U.S. mobile operators have different tools, including Wi-Fi and small-cell offload, policy, content optimization and QoS-based tiering. Those tools are not available to fixed-network operators, at least if current “network neutrality” rules survive legal challenge. In Canada, both fixed line and mobile service providers have more freedom than U.S. ISPs. Though regulators say “the best remedy for network congestion is investment in new infrastructure,” the second choice is economic incentives. Internet traffic management practices such as charging more for higher speeds, are one way to generate incremental revenue to support incremental investment, says Konrad von Finckenstein, Canadian Radio-television and Telecommunications Commission chairman. But other tools likely will be required, as well. U.S. network neutrality rules do not absolutely prohibit such measures in the mobile network, though fixed-line operators basically are stuck with rules that mandate complete “best effort only” access. Such are the tensions between the desire for operational simplicity, consumer friendly pricing and packaging, and the desire for more-sophisticated end-user features. Likewise, there is a tension between the ability to manage networks simply, and the desire to manage them with greater sophistication. In truth, consumers, regulators and service providers are “conflicted” to some degree about balancing simplicity and variety. Users want understandable plans, fair pricing and clear billing statements. But they also might want differentiated experiences. Service providers want simpler operations, but also greater sophistication in terms of ability to create and package new and existing products. The tension probably cannot be eliminated. Google is big on mobile commerce, for any number of reasons, Mobile represents the biggest advertising revenue stream nobody yet dominates. And mobile commerce represents potentially the biggest change in retailing since the advent of online shopping. Across most of six markets, including the United States, United Kingdom, France, Germany, Spain and Japan, roughly 60 percent of smart phone users are searching because of an ad they’ve seen offline or in a store. Another reason is big on mobile and smart phones is that mobile users search while on smart phones. Some 99 percent of smart phone users in Japan have used a search engine on mobile. This means that practically everyone who’s gone online on mobile has searched on their phone. Mobile search is a frequent activity. In most of these six countries more than 75 percent of smartphone Internet users search at least once a week. The study suggests 92 percent of Americans use their smart phones to look for information about local businesses or services. More to the point, those searchers take action. Some 81 percent of French smart phone users who’ve looked for local information then acted on it with a quarter (26 percent) having called the business and 43 percent having visited the business. You might say roughly the same for retailers. They don't have a mobile payment problem, either. Retailers only have a mobile sales problem. And though it is a legitimate argument that no mobile payment scheme really succeeds without consumer adoption, neither does mobile payments succeed without retail merchant adoption. On the other hand, all existing stakeholders in the payments revenue stream are trying to figure out how to make themselves indispensable in a new mobile payments value chain, so that the risk of being relegated to a smaller role, or no role, is minimized. That's one reason JPMorgan Chase & Co. might have invested in GoPago, a provider of a free smart phone application that allows consumers to browse, order, and pay for local goods and services. Businesses benefit by being able to easily set up mobile storefronts and the rich data and analytics GoPago provides helps them better target special offers to drive sales. The problem Chase is trying to solve, in other words, is brick and mortar retailer need to increase online sales. Later in 2012, Chase’s customers will have the opportunity to create a free mobile storefront through GoPago, extending their reach to a broader audience and providing business tools once only afforded by large companies. In addition to the standard benefits of GoPago, Chase cardholders that use GoPago will receive exclusive offers and discounts from Chase merchants. “Online commerce offers a number of opportunities to local business,” said Leo Rocco, CEO and founder, GoPago. The point here is that Chase is not trying to solve a "how do I pay by mobile phone in the store" problem. It is trying to solve a "how do I extend my retail sales into the online realm" problem. HTC's new line of "One" devices coming to Verizon Wireless and AT&T networks obviously raises the question of what might be coming for Sprint, which has been selling HTC Evo devices for a couple of years. Some speculate the device is codenamed the "HTC Jewel." Presumably the Sprint version will feature the large screen Evos have sported, with the same high-definition display. A coalition of 30 technology companies hopes to turn the Web into a competitive platform for building mobile applications. They have launched a Core Mobile Web Platform (coremob) community group through the W3C to provide a venue for collaborating on next-generation mobile Web standards. Facebook and Mozilla are among the leading members of the group. The effort to make the mobile Web a competitive app platform represents one more challenge to service provider and app store "control" or influence over mobile applications. Facebook also announced the release of Ringmark, a test suite for evaluating the capabilities of mobile Web browsers. The tests will help developers make informed decisions about what features they can safely use in various mobile Web environments. Facebook hopes such information will help developers create browser-based apps that run as fast, and as well, as native apps. The business implications are clear enough. Mobile apps need app stores to succeed. App stores are run by "somebody else." By creating fast-executing mobile apps, application developers gain freedom from app stores, service providers or device manufacturers. Will IMS Fail? In Other Words, Does OTT Win? If you have been in the telecom business long enough, you have seen a few different "next generation networks" come and go with somewhat mixed market success. ISDN was, for some, the first such network. Then there was B-ISDN, known better as "asynchronous transfer mode." Then there is IP Multimedia Subsystem, whose ultimate success seems yet uncertain, if its fundamental architecture and goals certainly will be a foundation of future networks. And now there is Rich Communications Suite, which builds on IMS. Observers might further note that picture messaging, essentially a broadband version of text messaging, likewise has failed to garner much success. Pessimists might point out that, so far, none of the would-be "next generation networks" has been a raging success. To be sure, the functions often are accomplished, but sometimes in other ways. Who would have guessed that a "legacy" protocol such as IP would become, as much as anything else, the "next generation network," in large part. Optimists keep trying, as standards, whether created by the market, or by standards bodies, are crucial for the global telecom business. Tyntec is the company Thorsten Trapp formed to provide products based on the mobile industry’s Signalling Connection Control Part protocol used by GSM networks. Apparently, Tyntec's software is what allows Pinger to provide over the top text messaging services. And Trapp apparently doesn't have much confidence that some of the newer proposed architectures are going to succeed. Specifically, he is doubtful that IMS or RCS will succeed. The issue is why he believes that. Without widespread handset support it’s not going to become ubiquitous, and even if it does, users will be hit by roaming costs and interoperability issues. But OTT players merely need an IP connection for their apps.Will RCS Fail? It's a challenging notion, but not historically unprecedented. There will be standards. The only issue is which standards, and how they eventually take hold. In recent decades it has been "the market" more than the standards bodies that have succeeded. Vodafone Group is launching a mobile payments venture with Visa, using near field communications and Visa prepaid accounts to let customers pay for goods and services with their mobile phones. Vodafone, the world's largest telecom company by revenue, said the companies will work together to develop Vodafone-branded services to the U.K. company's base of 398 million customers in more than 30 countries. These services will be launched later this year in Germany, the Netherlands, Spain, Turkey and the U.K., with rollouts elsewhere in Vodafone's global portfolio to follow. As other studies also have shown, consumer use of mobile banking, and willingness to use mobile banking services, continue to grow, a new study sponsored by Fiserv has found. When asked if they had used a mobile banking service in the past month, one out of four online households stated they had, and those that use other digital services such as online banking, bill pay or e-bills, were even more likely to have used a mobile banking service. Some 30 percent of both online banking and bill pay users had used mobile banking while 44 percent of e-bill recipients had used the service. The majority (60 percent) of mobile bankers used the mobile browser on their phone to access their mobile banking service; 41 percent used a downloadable application (app); and 32 percent accessed the service through text messaging. According to the survey, 40 percent of mobile banking users have paid a bill using their mobile phone as compared to 28 percent in 2010. Some 32 percent used their mobile phone to transfer money versus 25 percent in 2010. As some other surveys have found, many users trust their financial institutions more than other entities. Some 40 percent of mobile phone users said they would trust their bank or credit union to handle mobile payments, followed by PayPal at 35 percent and Visa at 33 percent. Nearly one in five consumers currently owns a tablet and this figure is expected to increase rapidly, which means tablets soon will be a bigger factor in mobile banking and transactions, the study found. According to the survey, 19 percent of online households currently own a tablet and another 20 percent expect to purchase a tablet, which means almost 40 percent of online households could own a tablet by mid 2012. In addition, multiple tablet households are emerging, with 37 percent of households that already own a tablet stating that they plan to buy another. According to the survey, both current and future tablet owners are interested in using their tablet to access financial services. About 44 percent of existing tablet owners have used their tablet to access online banking, already. In addition, 45 percent of existing tablet owners and future owners are interested in using their tablet for banking. When Will Mobile Service Providers Get into Mobile Advertising? By the end of 2011, eMarketer estimated late in 2011, 38 percent of US mobile users would have a smart phone and 41 percent will use the mobile Internet at least once each month. Both of those trends are a necessary, but not sufficient foundation for mobile advertising, which is a fast-growing but highly fragmented and still small portion of overall ad spending and even of online ad spending. That fragmentation explains why, even though many tier-one mobile service providers have undertaken internal reviews of growth opportunities, and have identified mobile advertising as among the handful of new businesses that could generate a significant new revenue stream for a tier one carrier, few have made significant moves yet. The issue is simply that it is hard to "move the revenue needle" for any business already booking annual revenues in the scores of billions. When that is the case, a “small revenue opportunity” of scores of millions does not materially change business results. That necessarily means large tier-one service providers must look for new revenue opportunities that have the ability to produce $1 billion or more each year, for every major contestant. Mobile advertising, though a logical “line extension” strategy for mobile service providers, does not yet make sense for a tier-one service provider. Even as mobile advertising hits the billion dollar mark, it remains below that threshold, at least for a tier-one mobile service provider. That will change someday, but not really soon. A potential acquirer will want to see $100 million in current revenue, with a growth pattern suggesting $1 billion can be reached within five years, ideally. eMarketer, for example, estimates that advertisers will spend nearly $1.23 billion on mobile advertising this year in the United States, up from $743 million last year and set to reach almost $4.4 billion by 2015. This includes mobile display ad spending (such as banners, rich media and video), search and messaging-based advertising, and covers ads viewed on both mobile phones and tablets. This year, messaging-based formats still take the largest piece of the pie, accounting for $442.6 million in spending. But in 2012, banners and rich media will be even with search, each getting 33% of spending, or $594.8 million. That will put them ahead of messaging, which will fall to just 28.2% of all mobile ad spending next year. By 2015, banners and rich media and search will dominate further, and messaging will have shrunk to 14.4 percent of the total—though still growing in terms of dollars. Video is the fastest-growing mobile ad format, but from the smallest base. Mobile video ad spending, at $57.6 million this year, will grow at a compound annual rate of 69% between 2010 and 2015 to reach $395.6 million. Mobile advertising is growing really fast, at a 75-percent rate between 2009 and 2010, followed by socal media with a 32-percent growth rate over the same period, but from a very-low base. But television advertising continues to claim the greatest share of advertising spending, and had 11-percent growth between 2009 and 2010. The existence of mobile wallet services operated by Google, PayPal and Isis raises an obvious question: which contestants will “win” the battle to become the dominant or leading wallet services? In principle, one might argue that over-the-top application providers, mobile service providers, clearinghouse networks such as Visa or MasterCard, banks or other payment specialists could emerge as the leading providers of such services. Researchers at ABI Research say it is the likes of Google and Apple that ultimately will lead the market, though mobile service providers are highly likely to claim the most share initially. While mobile service providers will havethe majority of NFC-based mobile wallet users early on, their market share will erode between 2012 and 2016 as Google and Apple assume greater share. Google Wallet also will succeed in markets where mobile service providers prefer not to spend capital to develop and support mobile wallet infrastructure. In such cases, application providers such as Google, Apple and others will have an advantage. Though Apple is not yet in the market, ABI Research believes Apple will enter the market. “Apple will launch a mobile wallet product in 2012,” Beccue argues. ABI Research also predicts that near field communications will support 594 million users in 2016. That is not to say banks, payment providers or merchants will fail to attempt their own offerings. Starbucks, for example, operates one of the most-successful mobile wallet and payment programs in 2011. In most cases, such efforts will have suffered in the face of successful programs offered by the likes of Google, Apple and the mobile service providers, ABI Research believes. Who wins wallet war? Apple has yet to launch a mobile payment service, though it is widely believed from patents and whispers in the corners of the industry that the company will equip its iPhones with payment-enabling NFC sensors and software in 2012. As with Google and its carrier partners, AT&T and Verizon will allow Apple to offer its mobile wallet to consumers who have iPhones, regardless of whether or not the carrier has a competing mobile wallet, Beccue noted. Still, most observers believe PayPal says 2016 will be the year when some industry executives believe U.K. shoppers will be able to use their mobile phones to shop, instead of using cash, checks or credit and debit cards. PayPal’s conclusions are based on a Forrester Consulting survey of 10 senior executives from major U.K. retailers and other businesses. Some 49 percent of mobile buyers surveyed by Forrester Consulting use their mobile phones to purchase products at least once every three months. “By 2016, you’ll be able to leave your wallet at home and use your mobile as the 21st century digital wallet,” says Carl Scheible, Managing Director of PayPal UK. Some might even argue that mobile wallet functions will have more substantial impact on the retail shopping experience, however. “Payment” using a mobile device might be the least-important new reason people use new mobile commerce applications. In fact, some might argue, consumers will be using mobile payment apps because the value of the mobile wallet offers clear value. “PayPal’s vision is a one-stop shop for retailers to engage their customers directly during every part of the shopping lifecycle, generating demand from consumers through location-based offers, making payments accessible from any device, not just from the mobile phone, and offering more flexibility to customers even after they’ve checked out,” Scheible says. “As well as paying for goods without having to queue, the report reveals shoppers can look forward to being able to carry digital loyalty cards, promotional offers and receipts on their phones – keeping everything in one place creating a virtual shopping hub,” PayPal says. A recurrent complaint in some quarters is that mobile phone subsidies, tied to service contracts that recoup the cost of the subsidies, inhibits consumer freedom to change service providers, and there is some logic to the thinking. But it also is true that without such device subsidies, consumer adoption of the latest devices, and therefore the pace of innovation in the mobile apps space, would be less. One clear example are buy rates for Android and Apple iPhone devices in countries where users generally buy subsidized devices, compared to markets where users generally pay the full retail price of handsets. As this chart from the Wall Street Journal illustrates, subsidies have a big and positive impact on consumer willingness to buy and use either Android smart phones or Apple iPhone devices. Consumers and businesses used to the idea of toll-free calling will get the bandwidth equivalent under a new plan AT&T Inc. is developing for content providers and developers of mobile applications. Under the new plan, the app provider would be able to pay AT&T for bandwidth consumed by app customers, instead of the app users having the usage billed against their service plans. In some ways the plan is analogous to the way Amazon.com has been paying the bandwidth charges to deliver content to Kindle e-readers. When users buy a book, newspaper or magazine, the delivery cost (bandwidth) is part of the retail cost of buying the product. Some app providers will be leery, since the practice is one more way app and content providers could wind up paying delivery networks when consumers use their apps or services. That might be quite a valuable feature for consumers who want to purchase mobile video content, for example. Apple, Microsoft and Android are recognizable and recognized brands. But Apple has one advantage Microsoft and Android do not. Apple can promote its brand without worrying about promoting an ecosystem. Android and Microsoft, to some extent, must do so. That's the challenge Google will have if it really wants to double the number of Android tablets it can sell in the coming year. 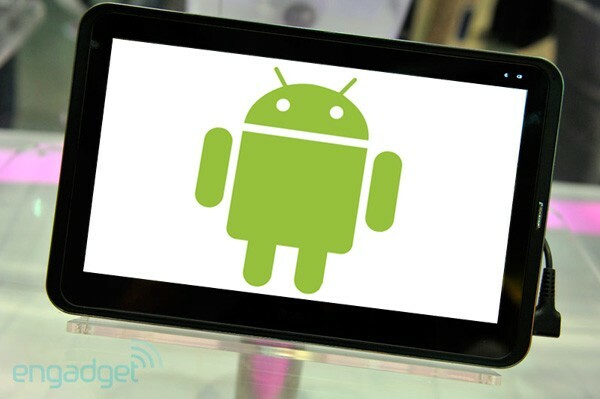 Android is, in part, a choice to embrace an application ecosystem, not just a specific tablet or device implementation. Can another new operating system get traction in the global mobile service provider market? Mozilla and some service providers hope so. Mozilla’s “Boot to Gecko” project aims to create devices that can "boot to the web," running an HTML-based platform that works as well as other operating systems, at much-less cost, allowing production of lower-cost smart phones. Those of you familar with Google’s Chromebooks will understand the idea. Some would say the “Open Web Devices” initiative uses the Android kernel but has an entirely new layer on top based on HTML5. Others might prefer to say B2G uses some of the same low-level building blocks used in Android (Linux kernel, libusb), but is not based on Android, and will not be compatible with the Android stack (in particular B2G will not run Android applications). It’s essentially a complete phone system run on web technologies that gives the on-board software access to core APIs through an embedded version of Firefox. That, in turn, means all apps on the phone essentially run in the browser. Carriers looking for new ways to inject themselves back into the revenue stream, since Apple’s iOS and Android have created independent roles within the value chain, creating a situation where end users buy based on the thrid party device first, with the choice of a service provider being a secondary consideration. The issue is whether a brutally-competitive operating system market has room for a major new player. One might also ask whether Boot to Gecko is really as "carrier friendly" as some carriers might hope. Boot to Gecko, based on HTML5, by definition will rely on cloud-based access to work. That means it is going to put more demand on mobile network bandwidth; it has to. Telefonica now is supporting G2G, but Mozilla is going to have to convince the major hardware manufacturers to support it. Who is going to do that do that? Also, manufacturers and carriers have been arguing there are too many mobile operating systems to support. Even with the decline of Symbian, WebOS and potentially RIM, Mozilla will find it hard to overcome those objections. Boot to Gecko essentially is a thin client that will require good Infernet connectivity. Want to guess how many end users are going to trust any service provider in that regard? HTC to Brand New Smart Phones Using "One"
HTC has had a bit of a branding issue since deciding it did not want to be a contract manufacturer, but rather a retail brand in its own right. Some would argue "HTC" hasn't quite got the zing. Now HTC seems to have settled on "One" as its retail brand. Some would argue HTC has more pressing problems, though. The company’s sales for the month of January 2012 were down by more than 50 percent compared to the same month of 2011, and revenues have been lower than anticipated. 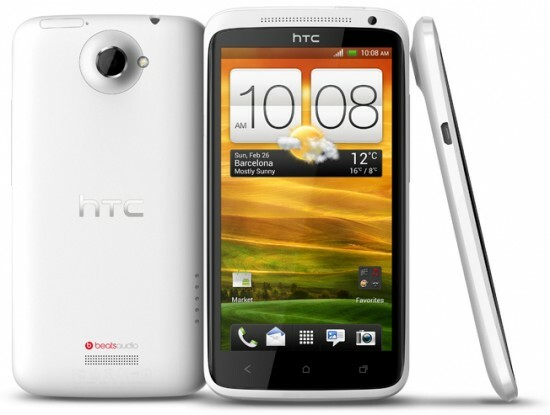 HTC says it had revenues of $564 million ($16,615 million Taiwan dollars) in the month of January 2012, compared to $1.2 billion (NT$35014) in January 2011. In 2010, by some estimates, the company was making four out of the top-five best-selling Android handsets in the U.S. market. Smart phone adoption is driving mobile service provider mobile broadband revenue. But smart phones also are cannibalizing service provider voice and messaging revenue. In 2012 the increase in smart phone penetration will cause voice and messaging revenue erosion of 3.9 percent in Western Europe and 1.6 percent erosion in Eastern Europe, according to Informa Telecoms & Media. In fact, every increase of 10 percentage points in smart phone penetration in a given market costs Western European operators a 0.5 percent loss of voice and messaging revenue, according to Informa calculations. For such reasons, Spain's Telefonica, the UK's Vodafone, France's Orange, Telecom Italia SpA and Germany's Deutsche Telekom AG are set to unveil a new messaging system tentatively called "Joyn" at the Mobile World Congress, according to the Wall Street Journal. Joyn is a service made possible by the “Rich Communication Suite,” essentially messaging applications built on IP Multimedia Subsystem (IMS) standards. GetJar, acknowledged to be the world’s largest independent app store, has launched GetJar Gold virtual currency rewards that can be spent at GetJar, Android Market or Amazon.com. The loyalty rewards are an enhancement to the existing GetJar Gold loyalty program, but exemplify one of the first virtual currency systems that not only are loyalty-oriented but allow currency redemption across much of the Android ecosystem. Consumers earn GetJar Gold virtual currency by downloading any Android apps, and can spend it on premium apps and in-app purchases. GetJar Gold virtual currency can be used with any Android apps from any app store, including GetJar, Android Market and Amazon. It increasingly is getting to be the case that manufacturers of 10-inch tablets want seven-inch models, and makers of seven-inch devices think they have to compete in the 10-inch form factor as well. Samsung is the latest supplier to make that move to provide both 10-inch and seven-inch models. New research from Nielsen reveals that 29 percent of smart phone owners use their phone for shopping-related activities. And one big difference between how smart phones get used, compared to PCs, is that people use their mobile devices while they are in stores, in the process of shopping. Retailers might not always appreciate that face, since users often are comparing prices at online or other physical locations. But people also appear to be checking product review while in stores. Top activities among mobile shoppers include in-store price comparisons (38 percent of mobile shoppers), browsing products through their mobile Web or apps (38 percent h) and reading online product reviews (32 percent). Apps, which account for the majority of mobile phone time in the U.S., may be the key to shifting consumers from browsing products on their phone to making purchases on the spot. Although only nine percent of mobile shoppers have used their phone to pay at the register, the desire to do so is apparent, says Nielsen. Some 71 percent of app downloaders would be interested in an app that allows them to use their phone as a credit card. Apple iPhone users are more interested in this option than Android users, with over a third (39 percent) saying they would be extremely or very interested in an app with this ability. It never has been terribly easy to describe the mobile payment ecosystem and it arguably has gotten more complicated now that so much focus is going to mobile wallet and mobile commerce functions. Mobile payments originally might have been more centrally involved with transforming payment and banking operations and experience. But a broader emphasis on mobile commerce now promises to potentially change “shopping” in a broad sense, with a potential blurring of online and offline shopping experiences. In fact, you might now consider “mobile payments” to be one segment of the broader “mobile commerce” business, including mobile payments at retail locations, mobile wallets for consumer identity and loyalty functions, personal finance and banking, money transfer and then marketing and incentive operations for advertisers and retailers. At the very least, there is potential for rearranging value and hence participant revenue within all the existing legacy businesses in the retailing, banking, payments and marketing industries. The larger question is whether value, and industry revenue, grows or possibly shrinks, whether new roles are added and new industry segments are created. If mobile commerce and payments do not grow the business, in terms of revenue for existing and new participants, then participant welfare will, in many cases, be worse than before. In other words, mobile commerce will wring revenue and profits out of the participating businesses, as the Internet has tended to do in other businesses it has transformed. On the other hand, mobile commerce, particularly in the marketing and advertising arenas, has potential to shift revenue into mobile venues from other online or offline channels. In this scenario, participant revenues could grow, allowing new participants and roles to be created, while virtually all contestants potentially gain. The third possibility is that aggregate participant revenue neither grows nor shrinks dramatically, strictly because of a shift to mobile commerce and payments, meaning most contestants simply “run in place.” In other words, most participants might find themselves spending money to keep what they now have, rather than growing. Put simply, for the entire commerce ecosystem, there are basically three revenue outcomes, and two of those outcomes are negative. Since a mere shift to mobile forms of commerce does not change aggregate consumer disposable income, one has to assume that mobile commerce offers the potential to shift participant revenues, or possibly reduce friction in the shopping process. But there is one obvious exception to that “rule.” It is entirely possible, and even likely, that revenue will shift from offline and online marketing and advertising channels into mobile marketing and promotion. T-Venture, the venture capital arm of Deutsche Telekom, has made a $7.5 million investment round in free messaging provider Pinger. Pinger isn't the first over the top application or service Deutsche Telekom has invested in. In 2007 Deutsche Telekom lead a round of investment in Jajah, a significant provider of over the top voice services. Those investments in over the top messaging and voice are not as odd as one might think. It certainly is true that such over the top apps increasingly are competing with, and displacing, traditional mobile service provider voice and messaging services. On the other hand, even though over the top services cannibalize legacy revenue, such apps also allow firms such as Telefonica and Deutsche Telekom to make revenue and get customers outside their traditional service territories. Much as firms acquire other firms in new areas to gain the additional customer base and revenue, so over the top apps, even when cannibalizing some amount of in-territory revenue, also create the foundation for new revenues outside a traditional service territory. Google is selling its stake in Clearwire, amounting to 29.4 million shares of ClassA common stock, at $1.60 per share. The sale ends one Google experiment aimed at spurring broadband deployment, much as Google has experimented with municipal Wi-Fi networks, is testing a 1-Gbps local access network in Kansas City, Kan. and Kansas City, Mo.. and has given support to white spaces initiatives. It has been a while since Internet service provider executives seriously wondered whether Google had aspirations to become a service provider itself, either in the mobile or fixed realms. Google arguably has the money and complementary assets to do so. To be sure, Google has been investing in long haul facilities since at least 2005, but that is similar to Google investing in its own data centers. Both are core supports for many of Google's businesses. That doesn't mean Google wants to be in the local access business, really. Of course, Google did announce that it was prepared to bid as much as $4.6 billion for wireless spectrum in 2008, but the company did so to trigger "open access" provisions. Google didn't want to become a wireless service provider. Google Nexus Tablet for Sale in April 2012? Google to Launch Line of Consumer Devices? What Tablets Tell Us about "Work"
What is Tablet Impact on Mobile Networks? Lower Backhaul for Developing Regions? Netflix Adds DVD-Only Unlimited $7.99 Plan. Huh? How Big is the Mobile Apps Business? Will Tablet Sales Eclipse PCs? How do you Monetize a Browser? What Types of Backhaul for Small Cells? Use a Smart Phone as a Desktop PC? What Drives Enterprise Tablet Adoption?